Before heading the marketing department at Minneapolis-based Deluxe Corp., Amanda Brinkman was an account executive at a couple of local Twin Cities ad firms. But even as early as high school, she had big aspirations to use branding to make the world a better place. 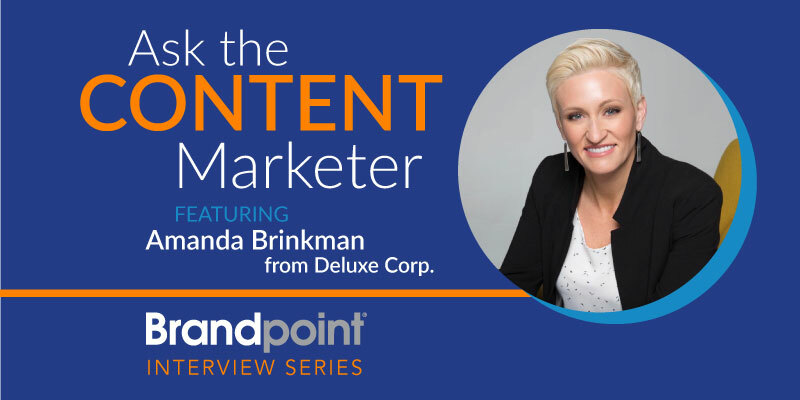 Now, as Deluxe’s Chief Brand and Communications Officer and co-host of Hulu’s hit show, the Small Business Revolution – Main Street, Brinkman spends her time traveling around the U.S., helping small businesses and towns reclaim the spotlight they once had. She and her Deluxe team give these hard-working business owners marketing tools and strategic direction to help their community thrive for years to come. To date, Small Business Revolution has invested over $1 million into small-town communities and businesses and reached a digital audience of over 2.5 billion. In the midst of traveling and planning for the highly anticipated third season, Amanda answered some questions for our interview series. Nels: You spent your early career in advertising. 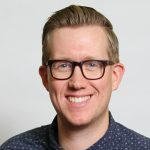 Did that make for a difficult or natural shift into managing a brand, especially for big brands like Allianz and Deluxe? What was the biggest challenge in making that transition? Amanda: I loved my years in the agency world. I was immersed in creativity and I tap into those experiences when building brands on the corporate side. It is very easy to become paralyzed by corporate process and politics, but keeping creativity as your guiding principle helps you lead brands bravely. In the agency world we were — at the core — solving problems and our solution was creativity. If, as client-side marketing executives, we see that as our role as well — and we combine that creativity with decision-making power and influence — you are in a position to do the right thing to push your company forward. N: In one Forbes blog, you mentioned “creative and process” must work together for marketing to be successful. How do you take this concept and implement it in an organization? A: In my mind, the best marketing teams can do both well. You have to prove that you can not only bring brilliant ideas … but that you can also execute them. A great idea that falls flat on execution is a waste and, conversely, great execution of a mediocre idea doesn’t move the brand forward. You need both. If you see process as something that enables you to bring creativity to the world, then you understand it as a necessary underpinning. The best way to implement this is to evangelize this type of thinking, and to orchestrate changes that show the results of these two important aspects working in concert. N: Tell me a little bit about where the idea for Small Business Revolution started and how you scaled it to be a hit Hulu show. A: When I joined Deluxe in 2014, I had the monumental task of turning around a 100-year-old brand. Brand awareness was low, and those who did know the Deluxe brand knew it for its legacy product, as a maker of paper checks. In reality, the company had evolved to provide marketing services — from logo design to web development to social media — to 4.5 million small-business customers. But fewer than 1 percent of small-business owners even knew we provided marketing tools. To make things even more challenging: We were being dramatically outspent by our competitors about 12:1. So we decided to turn the spotlight on small businesses. Not only are they our target audience, but also the lifeblood of our entire economy. We created the Small Business Revolution in an effort to kickstart a real, multiyear movement. We started by telling the stories of 100 small businesses across America through short films and photo essays. While visiting small businesses across the country, we learned that small businesses are more critical in small towns than anywhere else. So, to answer your question, we saw such an outpouring of support — and this is when we knew we could absolutely do something so much bigger and on a grander scale. That’s when we introduced “Small Business Revolution – Main Street.” Each season, Deluxe gives one small town and its small businesses a $500,000 revitalization and features the transformation in an eight-episode show. Each season has gotten bigger and better, as has the response from communities across the country, and we’re announcing our Season 3 finalists on Feb. 13! 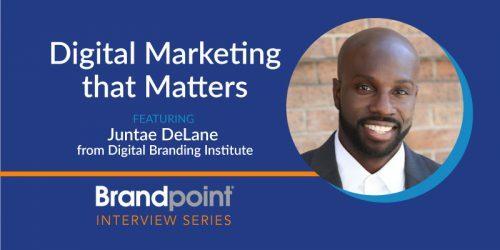 N: What are some of the most common challenges you see organizations having related to their digital content marketing efforts? A: Breaking through the clutter! In every industry, all of your competitors are looking to share the same articles/lessons/white papers/tips/etc. and building the same resource hub as you are. SO, what are you going to do that actually matters to your audience? I recently gave a TEDx Talk defending this thesis: Brands should push themselves to not only identify their TRUE brand purpose — not a mission statement decided by consensus in a boardroom, and that could define any of your competitors, but the unique reason your company started, and what you uniquely offer the world. 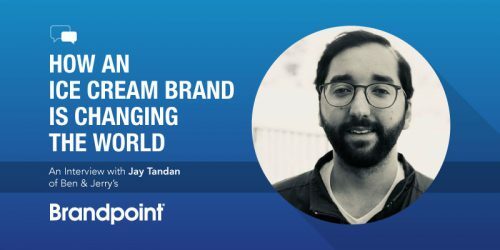 But you can’t stop there — the most important part is to actually turn that brand purpose into brand ACTION. Then you can be far more effective in reaching your audience AND doing the right thing as a company. N: What do you see as the most damaging misconception about content marketing? A: That all content can be called content. It is becoming a catch-all phrase and can define work on far ends of the same spectrum. You can have a “top 5 best practices for X” post be called content. A white paper is “content.” And we also label something as ground-breaking as the BMW Films “content.” That seems off to me … not all content is created equal. There needs to be a name for the better, braver work that is truly something your audience wants to spend time with. N: What’s the best advice you’ve ever received — whether career-related, personally or both? A: I have always been attracted to our industry. Even when I was a little girl, I was glued to the commercials. BUT I also really wanted to make the world a better place and was conflicted about going into what felt like a more “secular” field. It was like a lightbulb moment, and my entire career has been a journey to fulfill this promise that you can “Do Well by Doing Good,” that a company, a marketing campaign, a brand CAN do both — reach an audience and do good for them too. In every role I have brought this to life in one form or another, but the Small Business Revolution is the most poignant example of this in action. I hope other marketers and brands will be inspired to think past campaigns and take actual brand actions as we have. If every brand thought this way, just imagine what kind of world it could be. 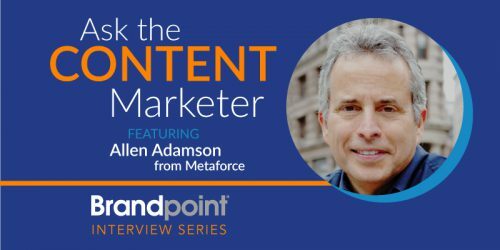 This blog is part of Brandpoint’s ongoing content marketing interview series where we talk with marketing professionals about their career, their unique opinions about the industry and some key advice they’ve learned along the way.